I read an article today on the Baptist Press by Kenneth Hemphill titled, “Generous Stewardship“. Ken, makes a statement that is very true and consistent among individuals today. He says that the average couple is spending more than they earn, and are getting themselves into dangerous debt. He was basically pinpointing that personally we are spending more on ourselves and that our church finances are struggling because of it. I agree with Mr. Hemphill, but what i am disappointed in is his lack of foresight on the issue. Let’s take a look at the church as a whole. After all, it is an example to the believers as well as the unbelievers of how we should serve Christ. 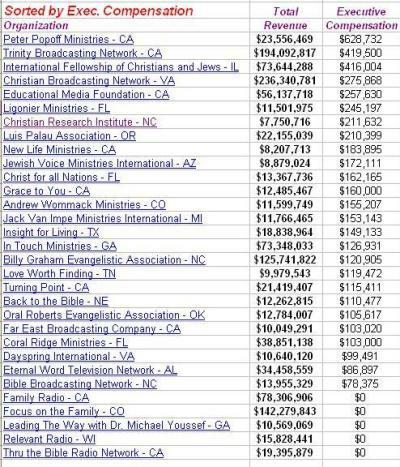 Let’s look at the debt that our churches are in. Let’s see how much we are spending on ourselves, our facilities, our programs, Yes – and entertainment! I think in every individual’s case, we only follow the leadership that is set before us. In that case, our debt is in direct correlation to the debt we see our churches getting into. Whose fault is it? Well, of course, every individual is responsible to himself, but who won’t answer for how one’s choices have effected others also. Our churches and its leaders keep making the excuse to the congregation and to God that we need this debt to continue our pursuit of God’s calling. But on the flip side I am not allowed to make the same excuse for my own family, but instead my things and possessions are considered to be purchased in light of a self centered heart and poor stewardship. If my vision and goals are the same as my church then what’s the difference between my debt and the church’s debt? I know one difference. Helping the church out with their debt is commanded by the pastor through the unlawful tithe, but helping me out individual finances will be overlooked without a concern. Does it ever concern you that our leaders feel the Spirit calling the church in a financial direction, but the followers are not allowed to discern through the same Spirit whether this cause is worthy to give towards? Let’s look at the scriptures and Israel for an example. Do you see how Israel was required to give a tithe by the commands of the law, because their calling came from the law? Can you also see how our own giving is commanded by the Spirit because our calling comes from the Spirit? A pastor cannot say this is our calling from the Spirit, so let’s give by the law. It would be hypocritical for the Holy Spirit not to empower financial discernment upon individuals that he’s asked to perform a task. I could go on with example after example, illustration after illustration, verse after verse, but this is just food for thought.